It’s almost Christmas, wow, how time flies! The older you get, the faster time goes, I can’t stress that enough to my now two teens! 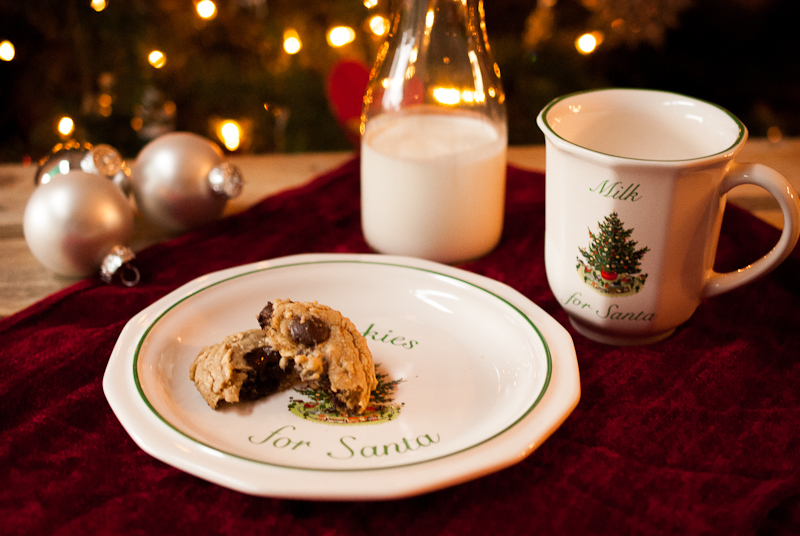 I don’t know about you, but in our house it’s a mad dash on Christmas Eve to get all the last minute stuff done, last minute runs to the store, wrapping forgotten gifts that were hidden in the closet, and yes…let’s not forget about baking cookies for Santa! The angel on our tree always makes my kids laugh. 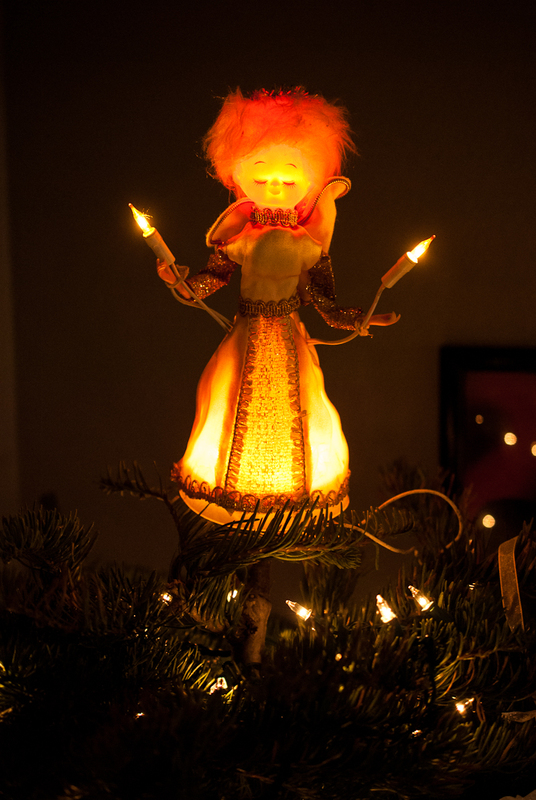 She is from the 70’s, the “old days” as my kids say….This was the angel my parents had when I was little, so every year when it comes out from the box, new jokes are made, and little comments about “how old” and “funny looking” she is. But she has many memories and means a lot to me, so out she comes from the box and onto the tree she sits every Christmas. 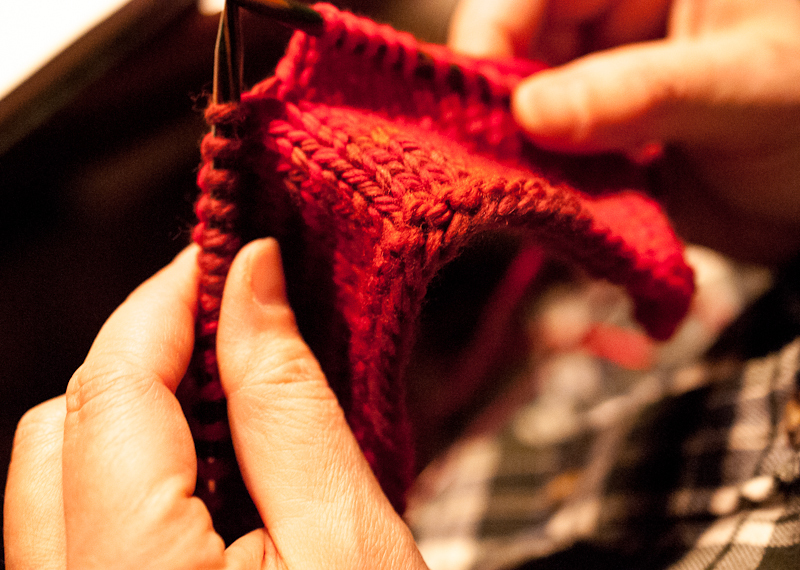 Funny how we know when Christmas is every year, same day, same month, but we are always scrambling at the last minute to finish everything! I guess it’s hard to get into that holiday mood back in July, so here we are a few days till the jolly old Santa comes to deliver presents to all…. And when he comes, he must have a snack and sip of milk before he goes along his way to the next house! 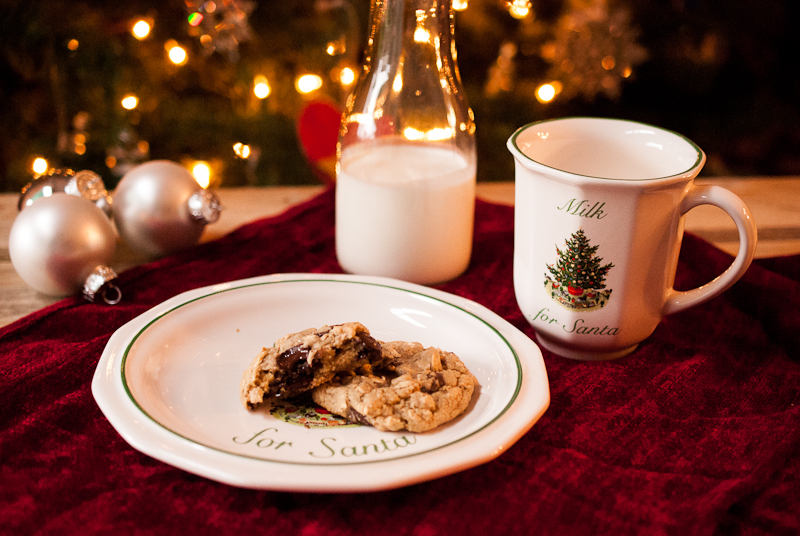 We always, always leave cookies out for Santa, and yes, even now the kids are teens. But as I mentioned before, we do not have time to do the fancy, time consuming, cookie cut outs with frosting and sprinkles. 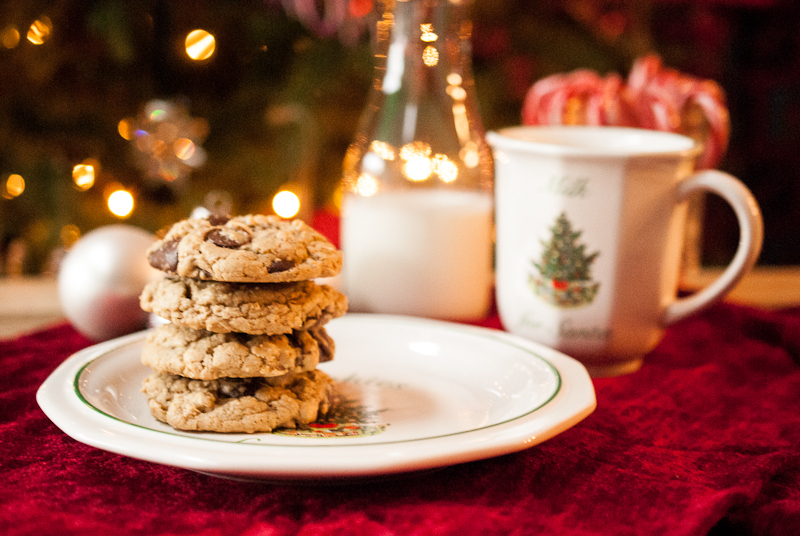 Oh no….we barely have 10 minutes to whip up a batch of these Chocolate Chip cookies with Oatmeal! The plate and mug have also been around in our family for a long time, not quit as long as the “old” angel! I bought this set for my son’s first Christmas, 17 yrs ago! It has traveled thru many moves and has been used for many Christmas’s. It’s always fun to relive the memories when unpacking all the Christmas things,like the ornaments my kiddos have made for me,or the stocking my mother made for me when I was little, I say you’re never to old for Christmas! So if you are like us and are scrambling on the Eve of Christmas to get everything done, and are in desperate need of a quick cookie recipe, give these a try. They are moist and chocolaty with a touch of oatmeal, for sure to fill Santa’s belly until the next house.And if your Santa has gluten allergies, there’s also a gluten free option too. Click here for the recipe. We wish all of you Happy Holidays and many new memories in the New Year!